Front Message : You’re the best mother. You’ve made our house into a cozy home, you’ve nurtured it with the shower of your love…..Every twist and turn on the path of life is made easy and smooth only because of you, Dear Mother. 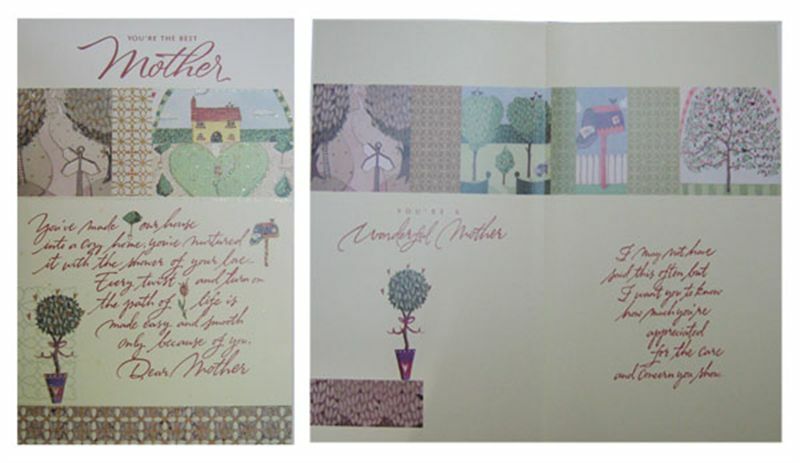 Inside Message : You’re a wonderful Mother. I may not have said this often but I want you to know how much you are appreciated for the care and concern you show.